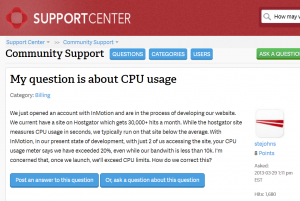 I was running a few different websites hosted on Inmotionhosting.com‘s servers; which, in case you didn’t know, is the same company as Web Hosting Hub. I pretty much have to say that I’m very dissatisfied with their company and services. Their servers were slow, I was continually exceeding CPU and being suspended, and their tech support is subpar. I was pretty excited when I first signed up for a year of hosting with Inmotion. Well, that excitement turned into frustration about three weeks later when my account was being suspended nearly every 15 minutes for “exceeding CPU.” Anytime I contacted their online tech support about this issue; they were very unhelpful and very condescending. Their general attitude was, “well, why don’t you fix whatever is wrong with your site that is making us suspend you…” or something along those lines. Another super annoying thing their online tech support liked to do was throw around esoteric terminology and then refuse to tell me what those terms meant when I asked. For some reason, they just can’t grasp the concept that not everyone has five years of experience as a webmaster. I looked at everything to find the issue with my site. I have gone through the entire Hostingmanual site. Eventually, I gave up on their online support and started calling their phone support. The phone tech support people were much more friendly, but also less knowledgeable. They would listen to my questions without tossing condescending answers at me, but they could rarely provide me with a solution. So, I had two options: talk to the online tech guys who had the answers but refused to give them to me, or, speak to the phone tech support who wanted to help me but didn’t have any answers. After four months of hosting with them, and finally fixing all the bugs I was having (on my own), Inmotion decided to cancel my account without any explanation. No matter which department I called or emailed about this issue, they never gave me another answer other than, “we advise you to find a new host.” I would not recommend them to anyone. Inmotion hosting is one of the better hosting companies even though I had a lot of problems with their CPU throttling and bad support. Since I have written this review, I have learned that all shared hosts work this way. By paying attention to your site, you can avoid the issues I have experienced. If you have ever thought of starting a free or paid web host, but without any funds, this article will tell you why that’s not a good idea. By the time you finish reading it, you will know why you shouldn’t do that. Have You Thought About Starting a Web Hosting Company? I’m sure many people have thought of randomly starting a web host with no money and just a free co.cc domain or their up shore hosts subdomain, but you will never last that way. You could say you got your free co.cc domain and that you also got reseller hosting from a p2h, but I will now tell you why that’s not a good idea. Here is a little example. John got his free domain and free reseller hosting account and was ready to start his free hosting company. He got a lot of users, and wanted to upgrade his reseller account soon, but couldn’t since he was already on the highest one from his host. Then his host went down for three days from a DDOS, and his clients are starting to get angry. Some of his clients lost their sites, but he can’t restore them since his up shore host didn’t have any backups. Things go on like this until the host where he got his p2h gets shut down for no reason, and he is now stuck with no website. This could have easily prevented if John had a budget of around $300 or so dollars to start. You would not need to buy or rent a dedicated server; a VPS would do. For around $35 you can get a VPS from Geekstorage that has enough space and bandwidth (25 gigs of webspace and 200 gigs of bandwidth), plus it comes with a free control panel (Cpanel, Plesk, DirectAdmin). Still doesn’t look like he’d need all that money? Well, he should also buy a control panel account creator. 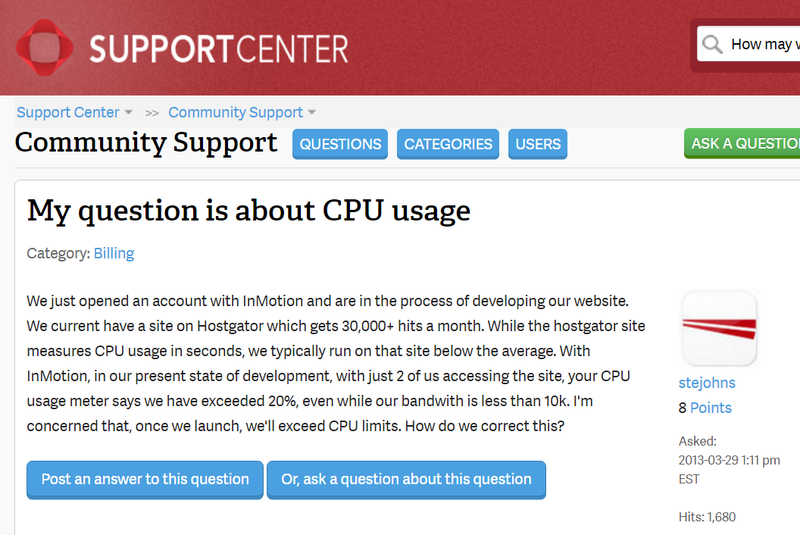 If he was making a free host, he should go with ipanel, but if he were going to make a paid host, it would be better to use WHMCS, it costs more but is better to use for a paid host. Check out more details on both of them from each account creators website. Now there are only a few more things he should get. It would be best if John could register most TLDs to his hosting companies name (have at least .com, .net, .org, .biz, .info, .co.uk) so that nobody takes his sites name and makes a competitor site of his. One thing you will always have to remember is that you will not earn money when you start. It may take almost a year to break even, so you must make sure you have enough money to make it through a year with a little profit. I may write an article soon about preparing for starting your host.